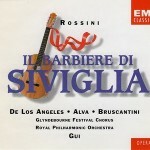 This classic recording is one of the first studio attempts to present an “authentic” Barbiere. Though it predates Alberto Zedda’s critical edition of the score and some of the orchestration is still slightly “off” (e.g. 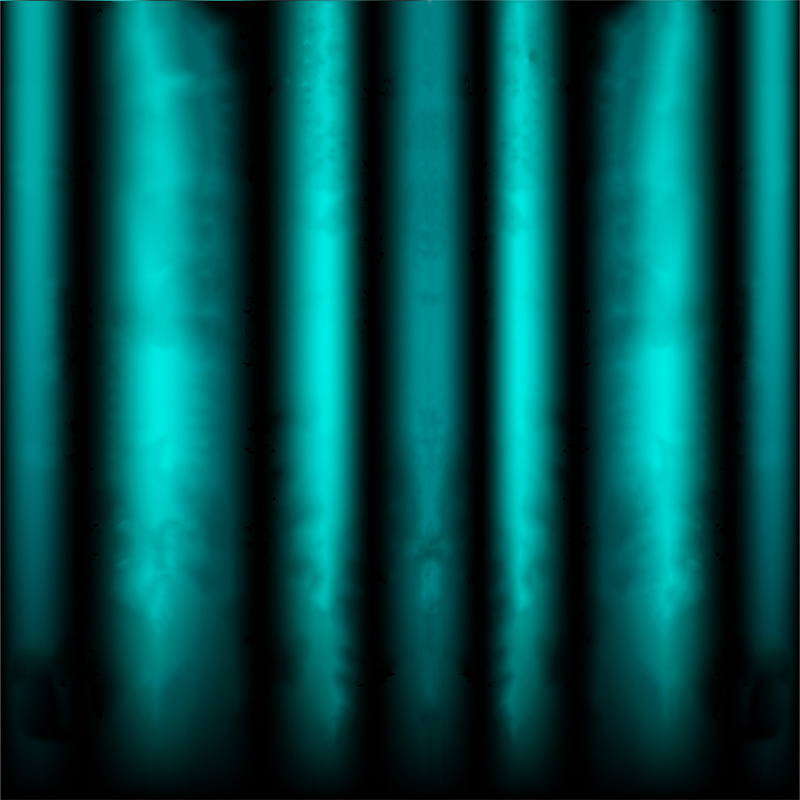 a harp instead of a guitar in “Ecco ridente”), it completely lacks the interpolations, transpositions, excess embellishments and slashing cuts that were traditional at the time. 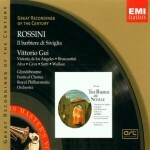 And Vittorio Gui’s whole interpretation is characterized by tasteful restraint. 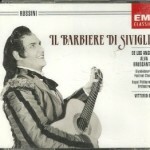 His conducting lacks the fizzing energy that defines other Barbieres, and I won’t deny missing that energy sometimes. But in its place is a gently smiling elegance that has plenty of its own charm. This carries over to the singers’ performances. The humor is vivid yet not over-the-top; Rosina is mischievous yet genuinely “dolce, amorosa,” not a spitfire; Bartolo is a grumpy yet harmless fuddy-duddy, not a raging blowhard. An air of gentle sweetness permeates the whole recording. Sesto Bruscantini’s Figaro charms from beginning to end. His baritone is as warm, smooth and rich as coffee, yet with a lightness ideal for Rossini’s vocal gymnastics, and his gift for humor shines through without ever turning into ham. 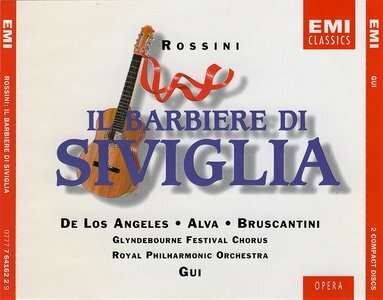 The ever-reliable Luigi Alva is an equally endearing Count Almaviva, with a warm, smiling characterization and seductively sweet tone, though his coloratura lilts rather than sparkling. Meanwhile, the lovely Victoria de los Angeles is a Rosina who stands out from the crowd. A soprano, but a dusky-toned lyric soprano, not a tweety-bird coloratura – and she sings the role in the original keys. The result is a Rosina full of lithe girlish charm, yet still with the warmth and sensuality of the mezzo voice Rossini intended. 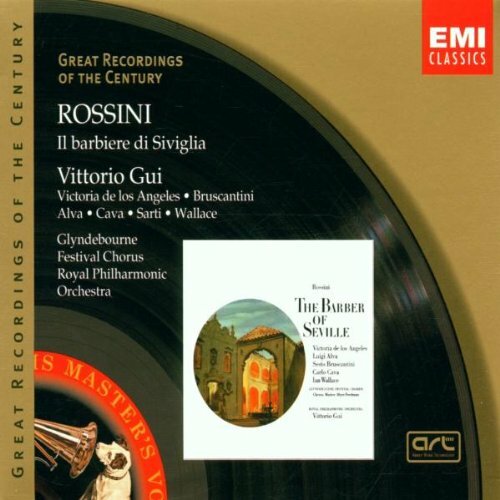 Ian Wallace’s Dr. Bartolo is slightly dry-toned and short on power, but his subtle yet vivid characterization is appealing anyway, as is Carlo Cava’s solid though not especially unique Basilio. Rounding out the ensemble, Laura Sarti’s Berta provides charming vocals and excellent sneezes. 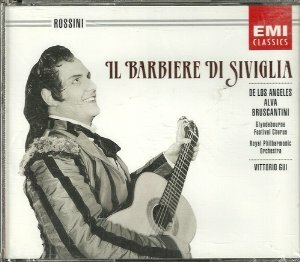 A perfect Barbiere would probably be livelier, faster-paced and more sparkling than this one, but I still recommend this one wholeheartedly to every Rossini lover. With its excellent performances and atmosphere of sweet, laid-back, gentle humor, it’s a performance to brighten anyone’s day.